CLINTON TOWNSHIP, MI--(Marketwired - November 25, 2014) - Godlan, a manufacturing ERP software (SyteLine ERP), EAM (Asset Management) and ISM (Service Management) specialist, and Infor Gold Channel Partner, announced today that ARCH Global Precision has selected SyteLine ERP to further elevate their business. ARCH Global is a multi-company operation focused on manufacturing precision machined components, and precision cutting tools and instruments. The initial software selection consisted of ten of the top ERP packages in the world, and then narrowed to three, and finally after a thorough comparison Infor SyteLine ERP was selected as the best fit for the business. "As a private equity backed company, one of the most important goals was to implement an ERP software solution that would not only replace our outdated Legacy software, but could provide companywide integration and reporting," said Eli Crotzer, CEO, ARCH Global Precision. A focus for ARCH Global in the decision was finding the right ERP system to support a multi- company environment as well as efficient financial consolidation roll-ups. The SyteLine ERP System is designed for competitive manufacturing environments and will also provide for efficient, seamless deployment in future acquisitions and growth scenarios. In addition to the software's capabilities, ARCH Global was also comfortable selecting Godlan as a business and consulting partner, having a 30+ year track record of success in manufacturing consulting. "Godlan's high degree of professionalism as an organization set them apart as we considered an initial group of ten ERP vendors," commented Crotzer. SyteLine ERP is designed specifically for the manufacturing environment with the ability to maintain repetitive and discrete work orders simultaneously. Its user friendly, customizable reporting capabilities will better equip employees to respond to complex data requests, and real-time shop floor reporting will allow for decisions to be made within minutes based on data. Godlan achieved a TEC Accreditation for ERP Solutions in 2013 and 2014, was awarded the Infor North America SyteLine ERP Partner of the Year 2011, Infor Regional Partner of the Year 2013, and is an approved Infor Gold Channel Partner serving customers for over 30 years. For more information, visit godlan.com or call 586-464-4400. 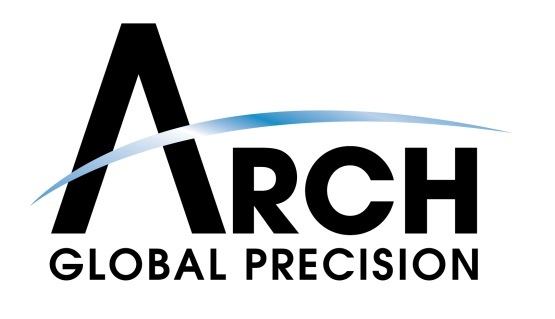 ARCH Global Precision was formed by a privately held equity group in 2011. Their focus is on acquiring companies that manufacture precision machined components, and precision cutting tools and instruments. This strategy has created an environment of organic development projects and acquisitions of complementary businesses that have evolved into strong brands with strong customer bases.